Scientists at the University have found that eye movement patterns of Chinese people, born and raised in China, are different to those of Caucasian people living in Britain. The team, working with Sichuan University in Chengdu, China, investigated eye movements in Chinese and British people to further understanding of the brain mechanisms that control them and how they compare between different human populations. They found that a type of eye movement, that is rare in British people, is much more common in Chinese people, suggesting that there could be subtle differences in brain function between different populations. Tests of eye movements can be used to help identify signs of brain injury or disease, such as schizophrenia and multiple sclerosis, in populations across the world. Research at Liverpool, however, has shown that within the Chinese population there are a high proportion of healthy people that exhibit a pattern of eye movements previously thought to be rare in the absence of injury or disease. Findings, published in the journal Experimental Brain Research, suggest that this pattern may not be as effective as a signal of altered brain function, in every global community, as originally thought. Working in China and in Britain, the team tested fast eye movements, called saccades. Participants in the study were asked to respond to spots of light with their eyes as they appeared suddenly to the right or left of their line of sight. The reaction time of the eye movements was the key measure that differentiated between Chinese and non-Chinese groups. Dr Paul Knox from the Institute of Ageing and Chronic Disease explains: “In a person from any country in the world we would expect the reaction time of fast eye movements to be approximately a fifth of a second. Very rarely we find some people with eye movement reaction times that are much shorter than this, at around a tenth of a second. This, however, is usually assumed to be a sign of an underlying problem that makes it difficult to keep the eyes pointing where you would like for a long enough period. “In our study, as we expected, 97% of British people had the common fifth of a second delay, and only 3% had the much faster response. In our Chinese group, however, 30% had the faster, less common response. Our participants were healthy, with normal vision, and yet the eye movement pattern previously thought to be rare, was relatively common in Chinese people. Scientists are now investigating eye movement in Chinese people born and living in Britain compared to Chinese populations born in China but now living in Britain. 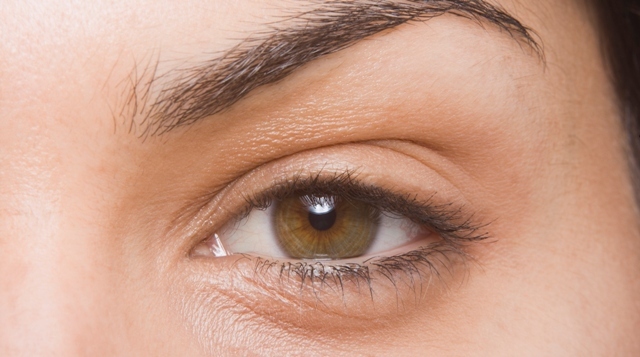 The study aims to further understanding into the cultural effects on eye movement behaviour.